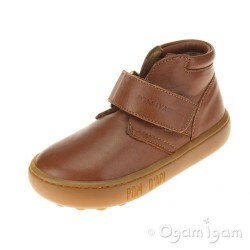 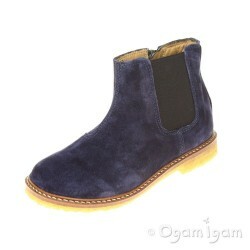 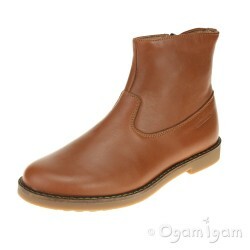 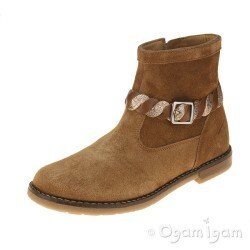 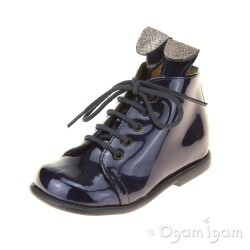 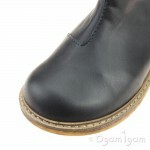 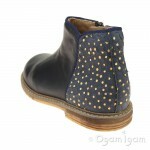 French atelier Pom D'Api present their chic girls leather ankle boot. 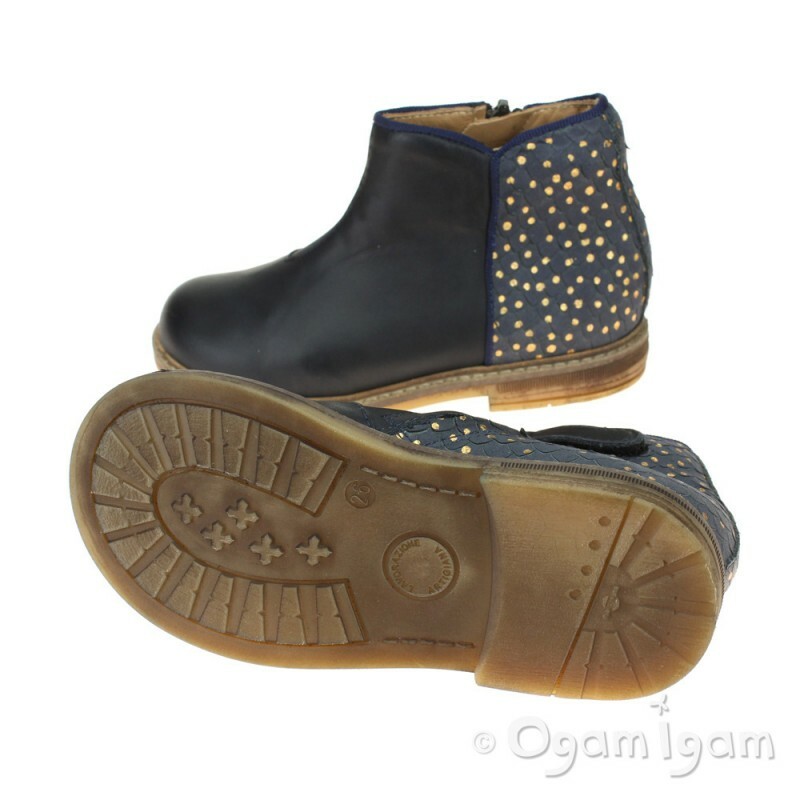 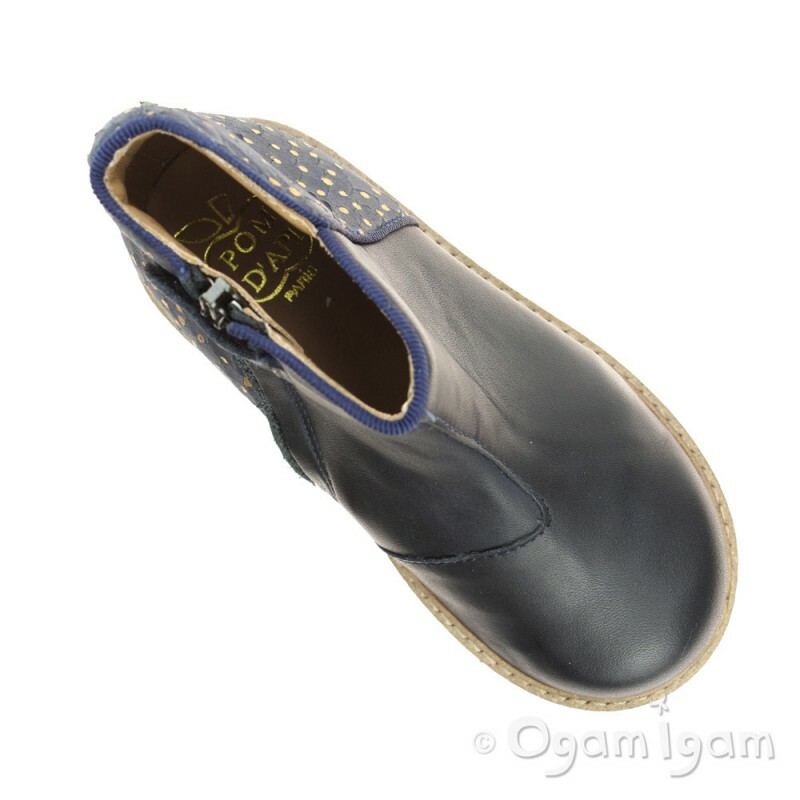 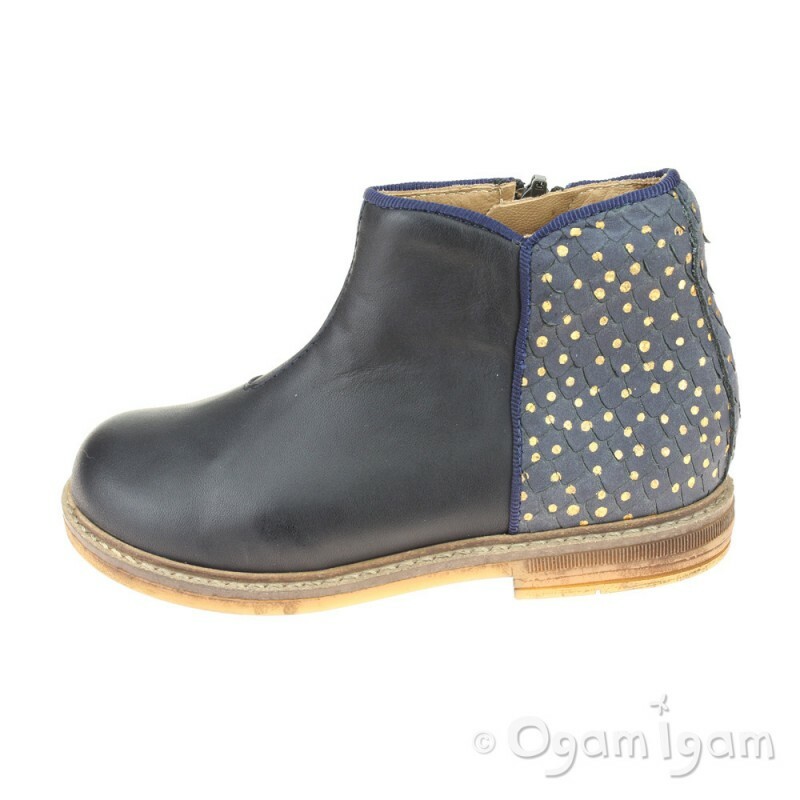 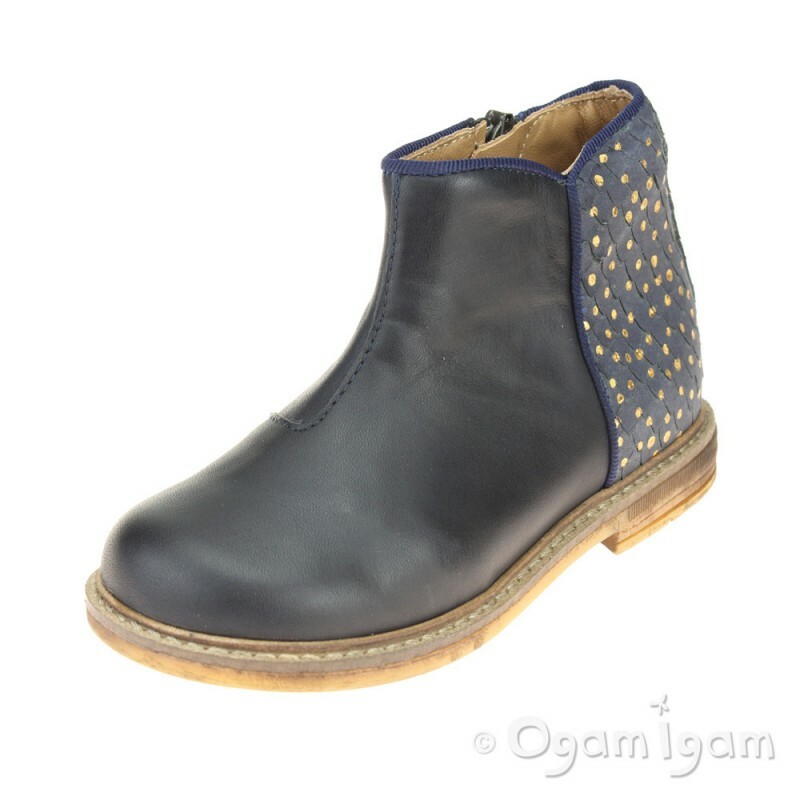 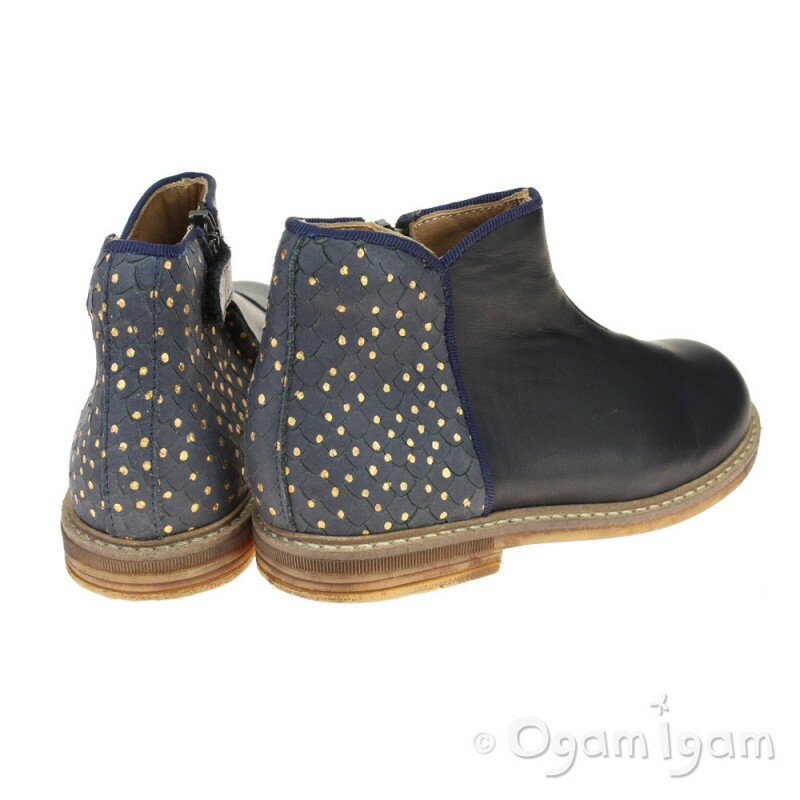 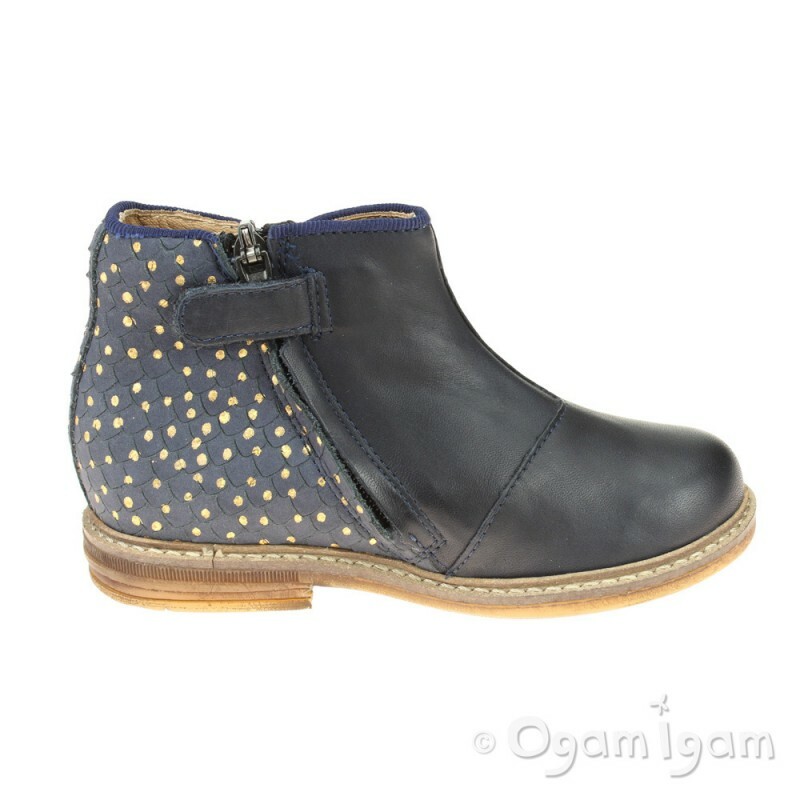 Smooth marine blue leather front contrasted with texture heel and gold dot detailing. 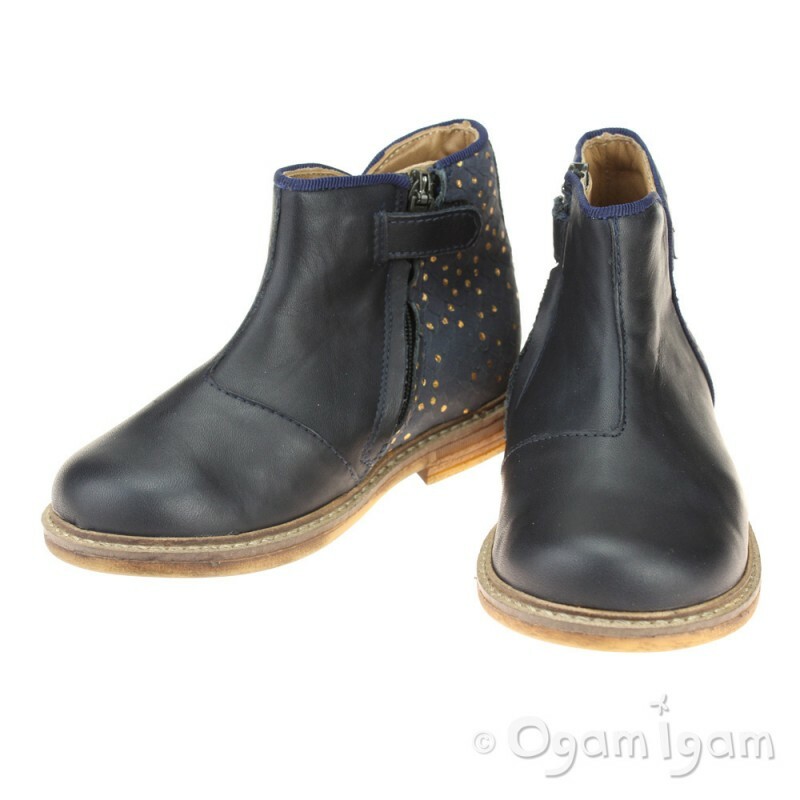 Navy piping to finish and side zip closure. Finished with functional sole unit.